﻿ How to use Themes in 3DPageFlip software? Q: How to use Themes in 3DPageFlip software? No matter you are using 3D PageFlip Standard or 3D PageFlip Professional (for PDF), 3D PageFlip for Image, 3D PageFlip for PowerPoint, or even 3D PageFlip for ePub, you can design themes and export to use in all 3D PageFlip programs, very easy to build your style 3D page-flipping eBooks. Start 3D PageFlip program, customize eBook in design setting panel, set logo file, logo link, base color, tilt angle, background config and so on, click "Apply Change". 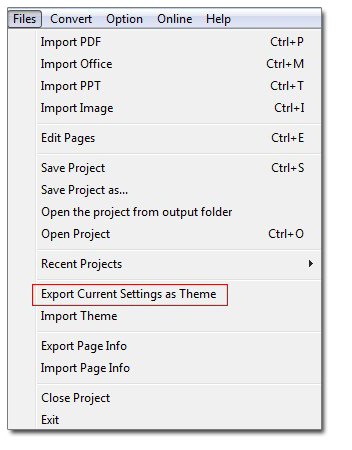 Click "File" icon and then choose "Export Current Settings as Theme", define output folder and theme name to save directly. You will get a file with the file name *.thm. 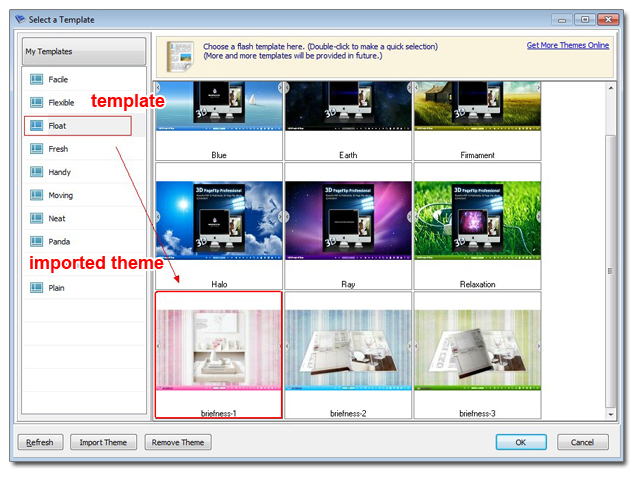 View more details about how to create theme with own picture. 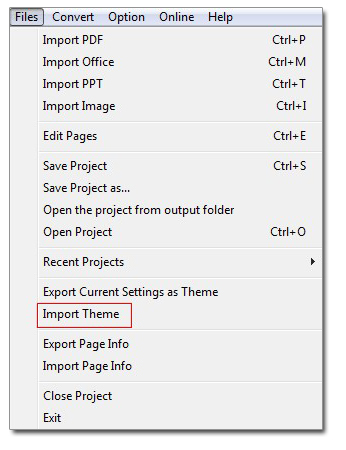 When you want to use, just click "File" icon to choose "Import Theme" and select the *.thm file from your computer (you can select several "*.thm" files at the same time). You need to make sure the which template the theme you imported belongs to. And then choose that template to view your imported theme. Double click the imported theme to apply in your current eBook. Don't know differences between themes and templates? Go here. Click to select a theme, or press "ctrl" to select more. 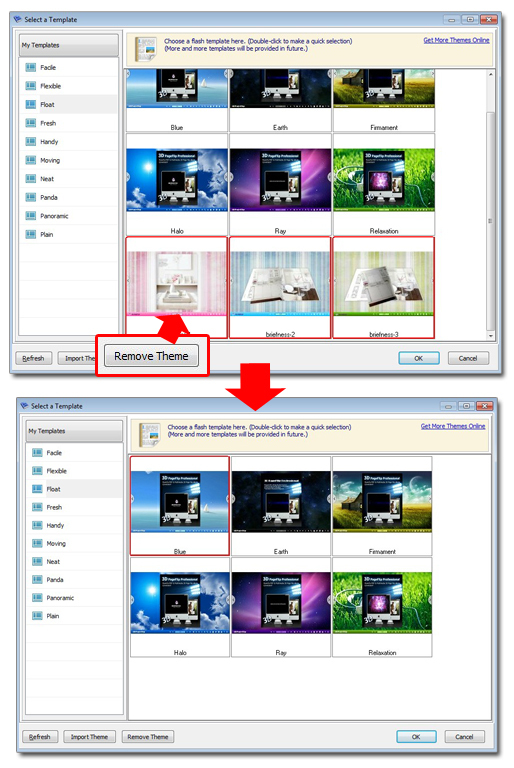 Then click "Remove Theme" and the selected themes will be removed. What is themes, templates and scenes for 3D flippingbook? How to create a theme with own picture?